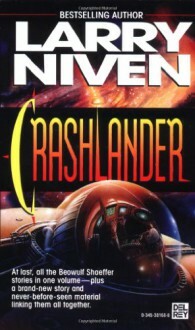 Crashlander Beowulf Shaeffer has long been one of the most popular characters in Known Space. Now, for the first time ever, Larry Niven brings together all the Beowulf Shaeffer stories--including a brand-new one--in one long tale of exploration and adventure! PLUS--an all-new framing story that pulls together all of Beowulf Shaeffer's adventures and allows Shaeffer and his family to make a clean start at life once and for all!